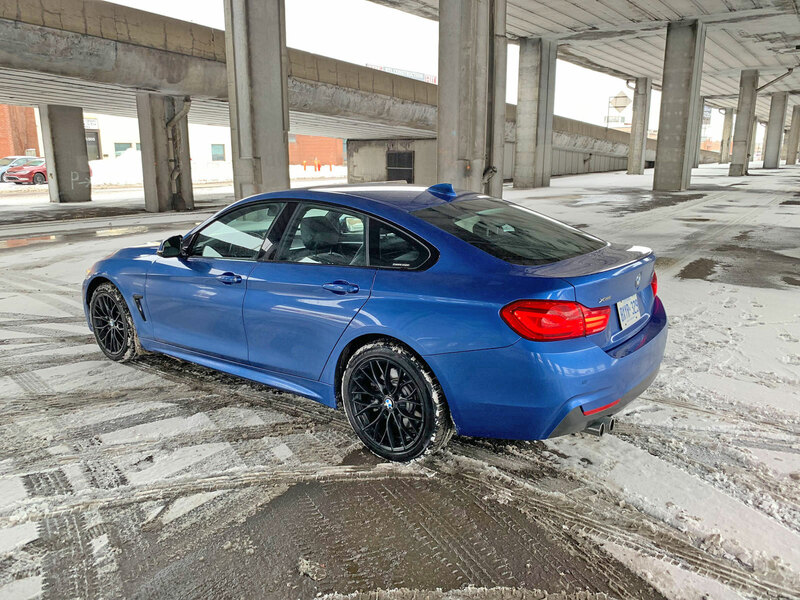 Back in 2013, BMW shuffled the naming schemes in their lineup to better differentiate between coupes and sedans. 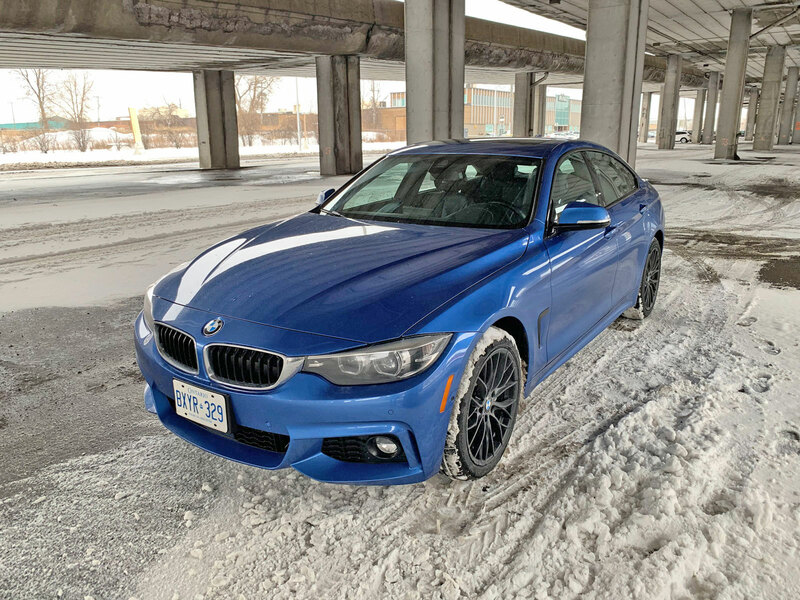 The well-known 3 Series moniker would be used uniquely for four-door sedans and the 3 Series coupe would become known as the 4 Series. Much to the dismay of brand purists, there would now exist an M4 to go with the legendary M3 (but They quickly got over it as expected). The next generation 3 Series has been unveiled and the new 4 Series will follow soon. 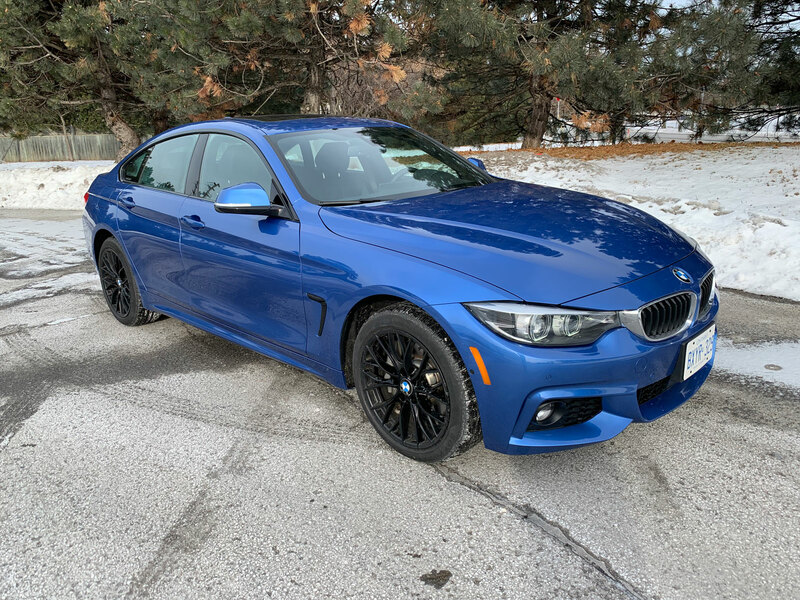 It’s something that’s worth considering because many people want to make sure their car doesn’t seem outdated a few months after making the purchase. On the other hand, perhaps some avid buyers who don’t care about the model year can cash in some good deals. At any rate it’s helpful information. 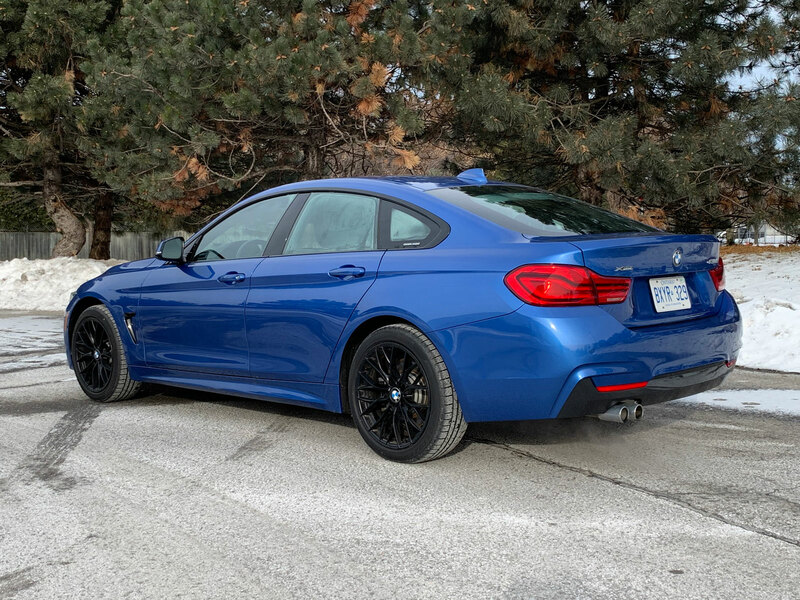 You may be asking yourself why, if the 4 Series is a coupe, are there four doors? Back in the day a coupe used to be synonymous two doors but things have changed. 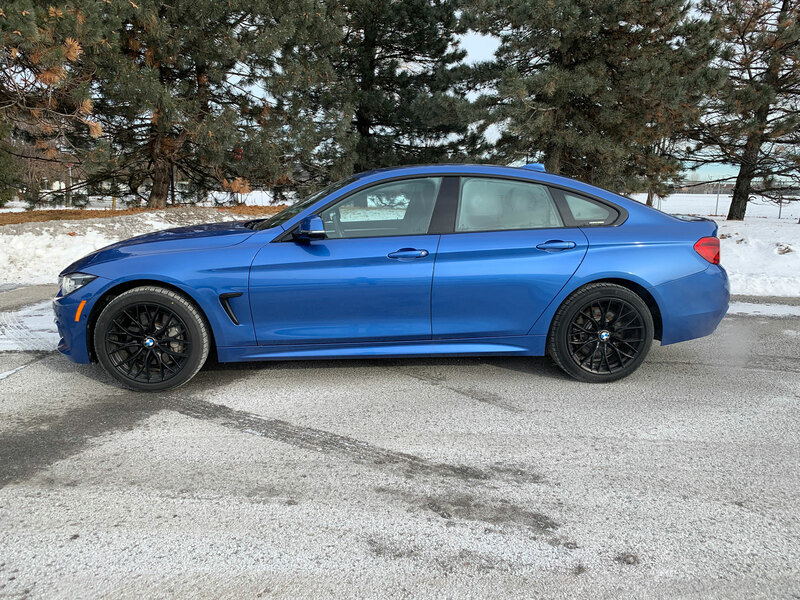 BMW decided to slap four doors on their coupes and call the creation a “Gran Coupe”. 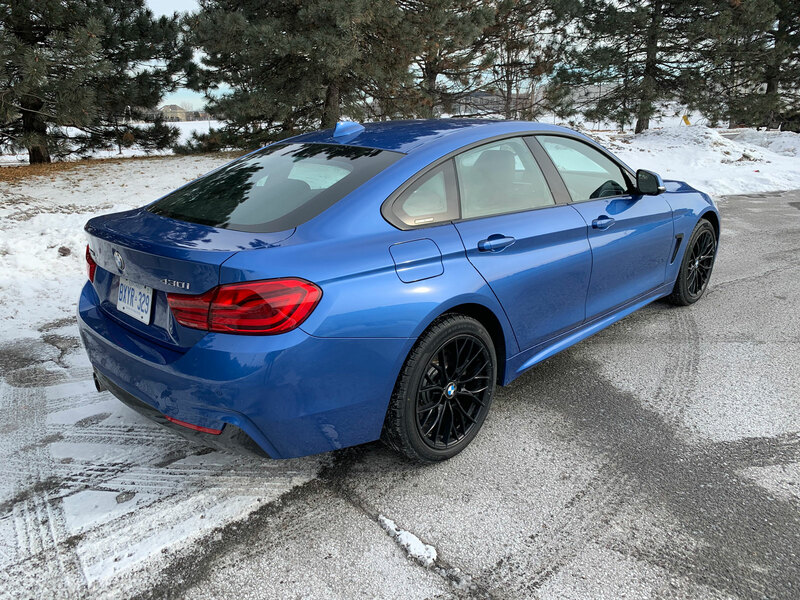 To be honest I rather like the idea because you get coupe styling (usually a bit sexier than sedan styling) with the practicality of the extra two doors. The practicality doesn’t even end with two extra doors. 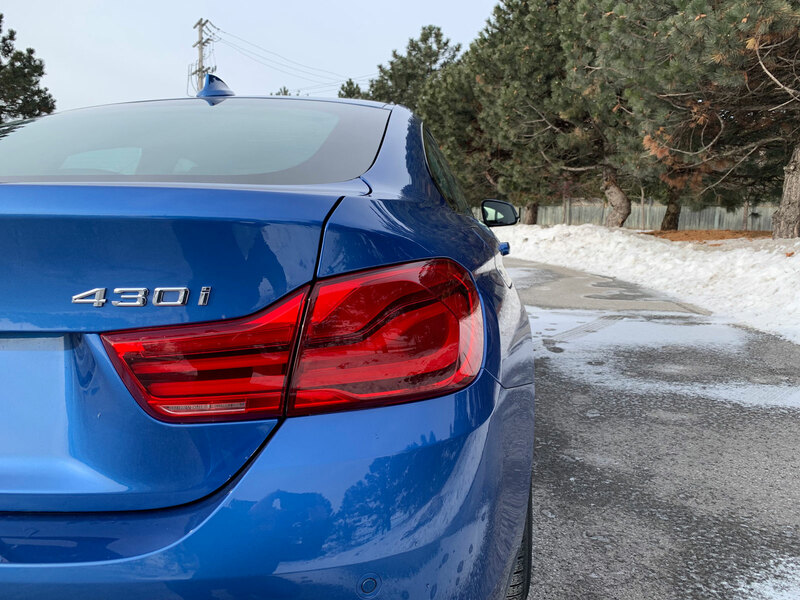 The 430 Gran Coupe is actually a hatchback so the entire back glass raises with the trunk latch to access the rear storage area. 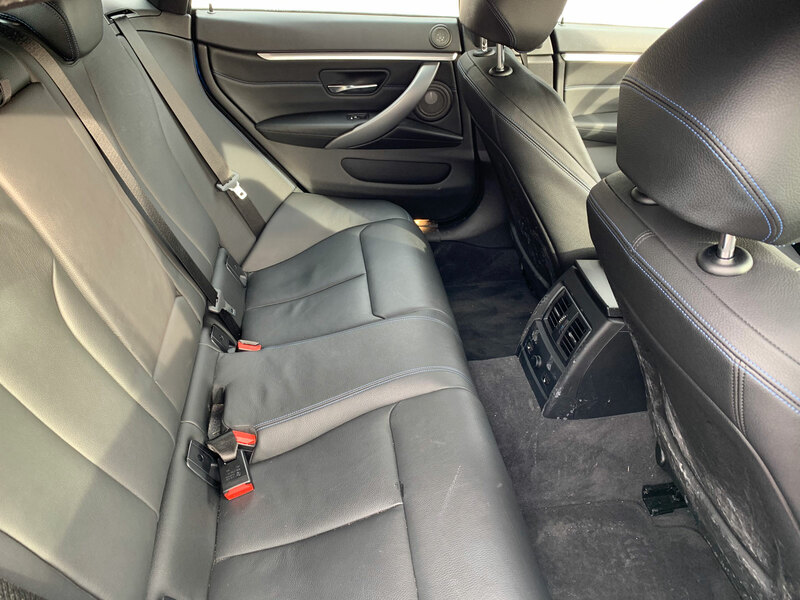 With the seats folded down you have nearly crossover-esque utility here to store your hockey equipment, gold bags, ski equipment or anything else. 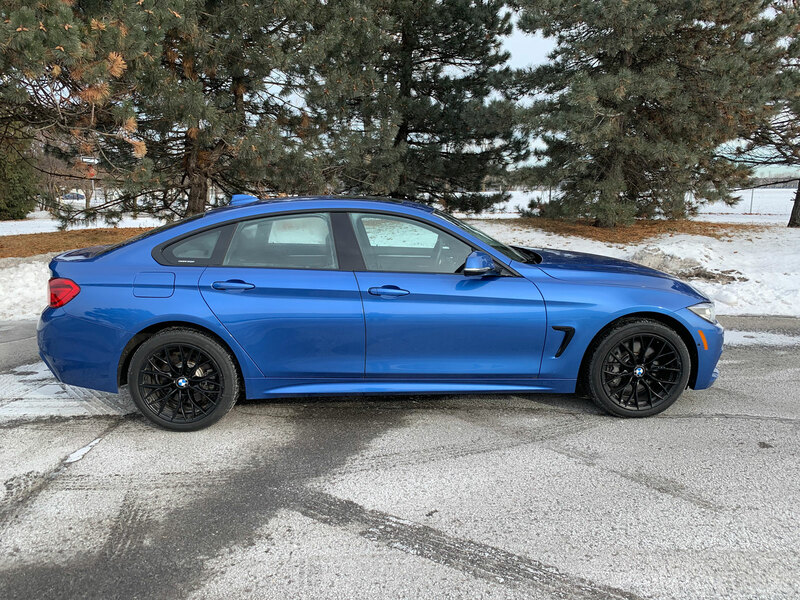 BMW designers must be commended because as you can see, the vehicle doesn’t look at all like a hatchback (unlike the now-discontinued ugly duckling that was the 3 Series GT). 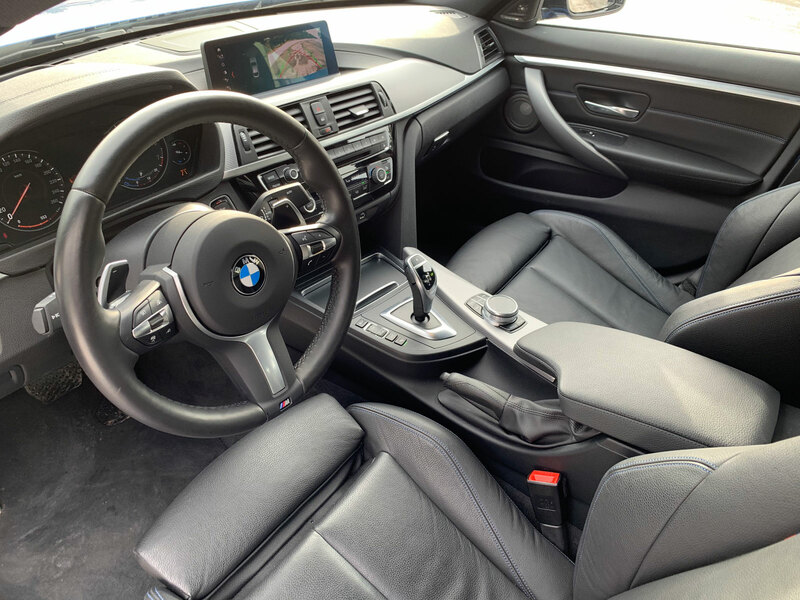 The interior of the 430i is no-nonsense functionality – perhaps a bit too much. It’s visually not all that spectacular however what it lacks in fanciness it makes up for in other ways. The best example I can think of would be the iDrive infotainment system operation. We have a dial on the lower center console next to the parking brake which is what every manufacturer should try and emulate. 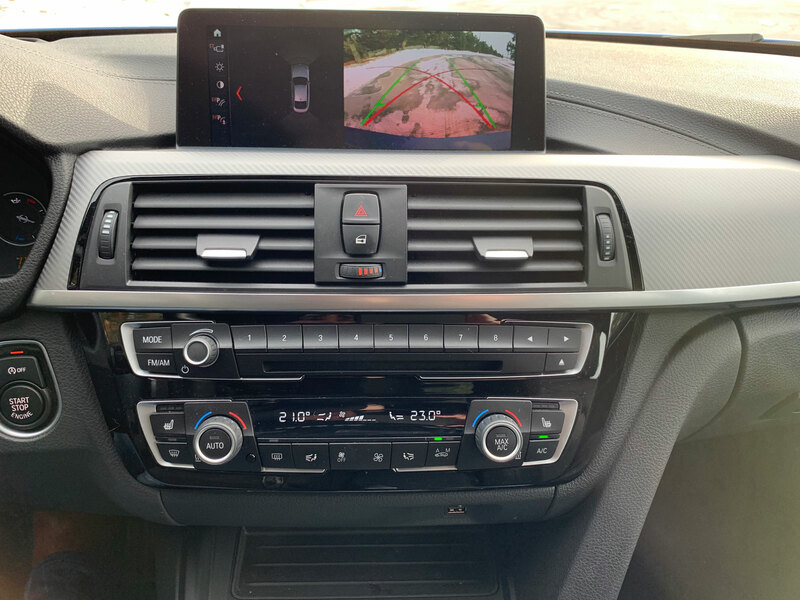 It allows operation of the menu system without having to take your eyes too far of the road. The menu system itself could probably a bit of a simplification because there are way too many sub menus but all in all it’s still quite pleasant to operate. 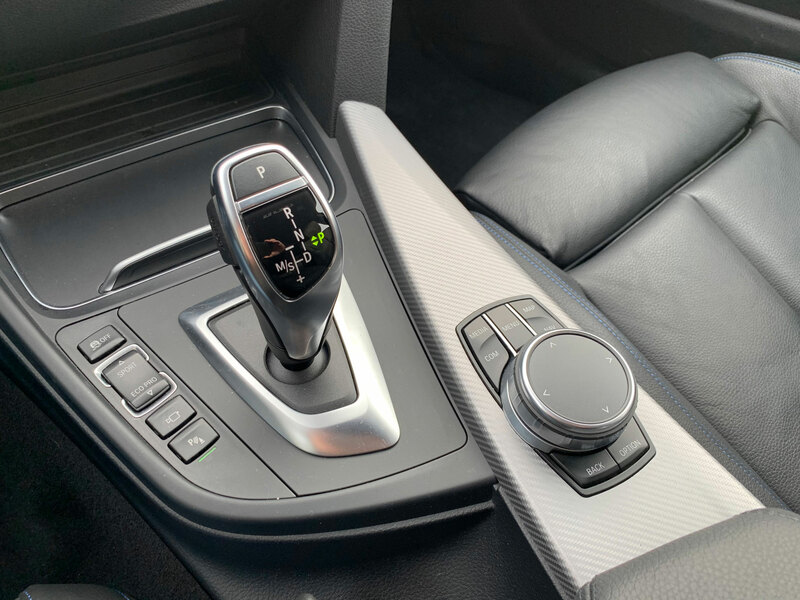 The buttons for climate controls and radio functions are similar to just about every other BMW. I’m happy there are still physical buttons but this layout is a bit dated. The next-gen model which I recently had the chance to sit in improves things a little. The rest of the interior is adequate for this price point. 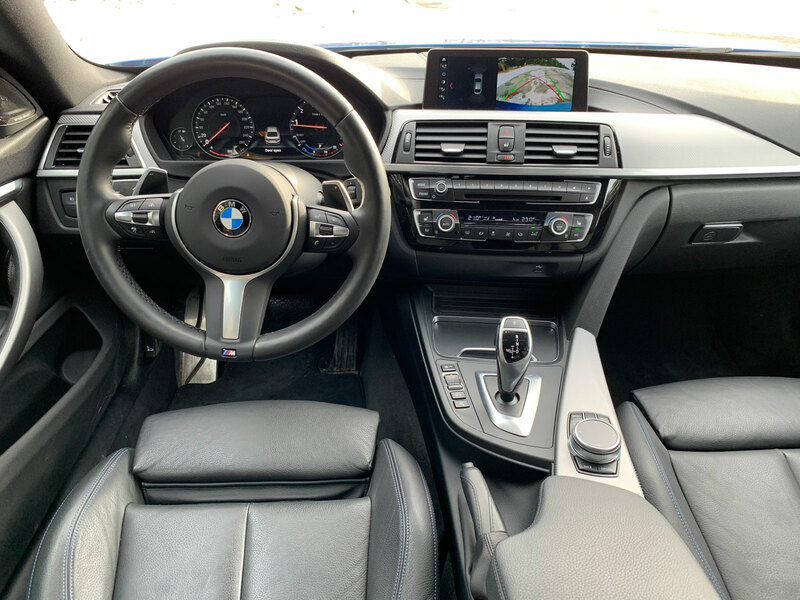 The steering wheel is excellent, as are the seats in term of comfort and materials but the door panels and other areas were a bit modest in terms of touch and feel. Under the hood of the 430i we find a 2.0-litre four-cylinder engine making 248 horsepower and 258 lb-ft of torque. That level of output was satisfying to even my lead foot and can give anyone moderate levels of enjoyment behind the wheel. 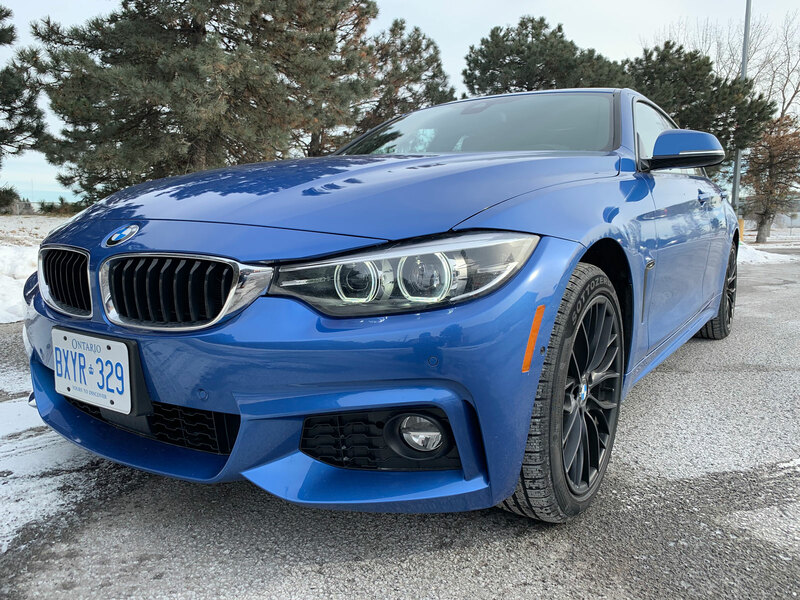 The performance aficionados will want to opt for the 440i which features a turbocharged inline six-cylinder making 320 horsepower and 330 lb-ft of torque. 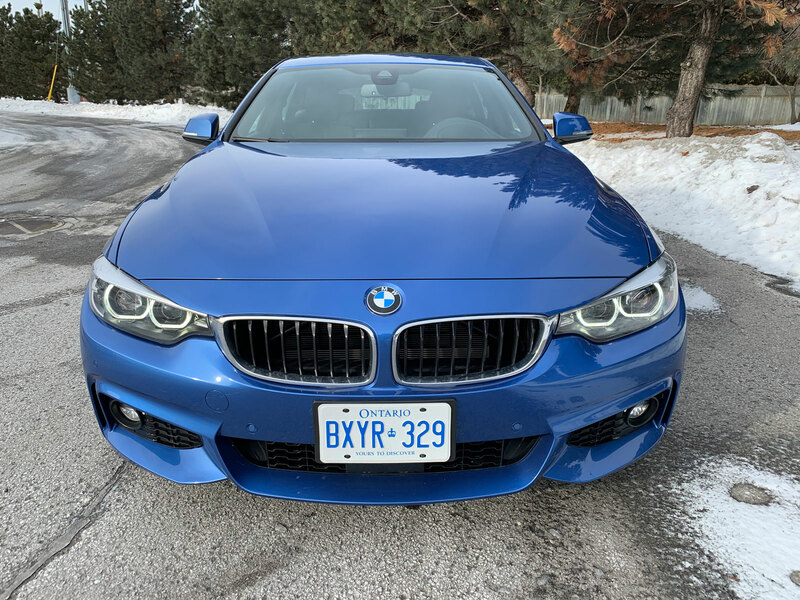 That motor is a screamer and when equipped with the optional M-Sport exhaust system can yield endless fun in the form of backfiring pops at high RPMs. 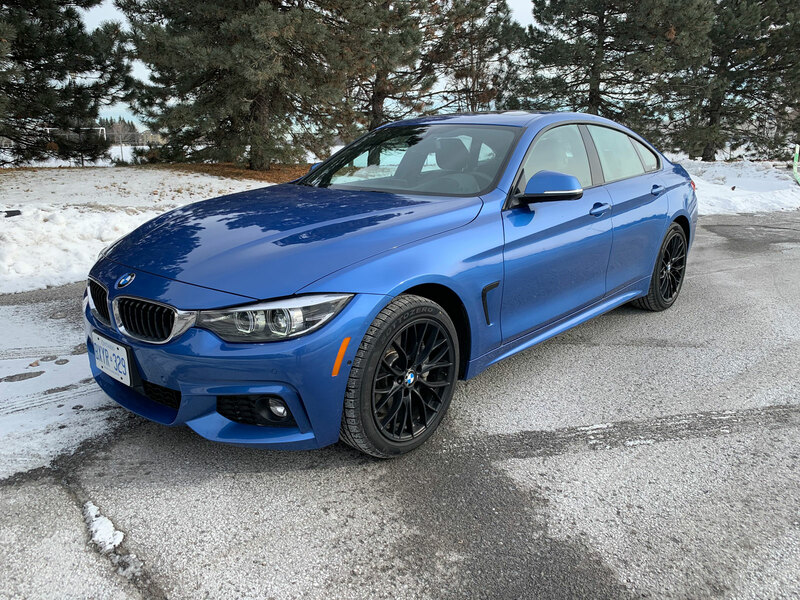 That being said the 2.0-litre is nothing to sneeze at and delivers a smooth drive while paired with its eight-speed automatic transmission. The electronic gear shifter is a bit wonky to get used to but its not the end of the world. 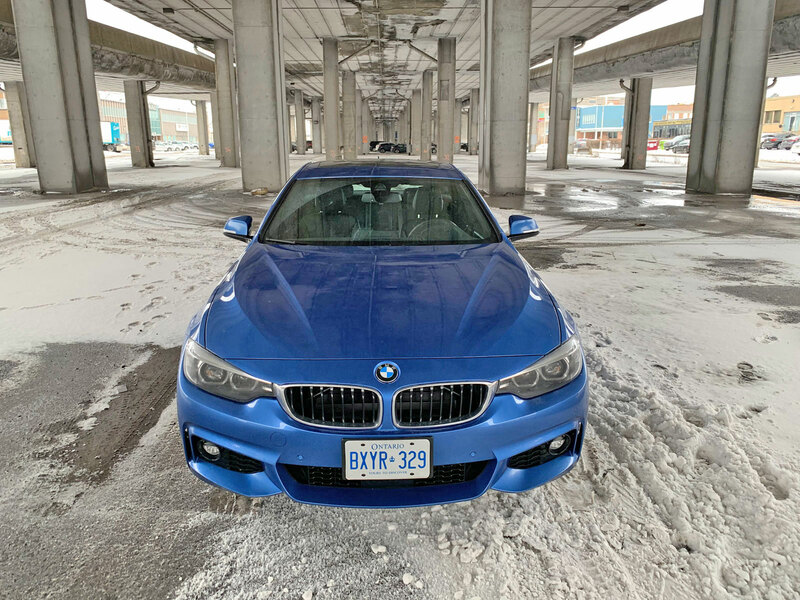 In a crossover-crazed world, the 430i stands out as an interesting alternative for those who still crave drivability over a raised seating position and a bit of extra luggage room. 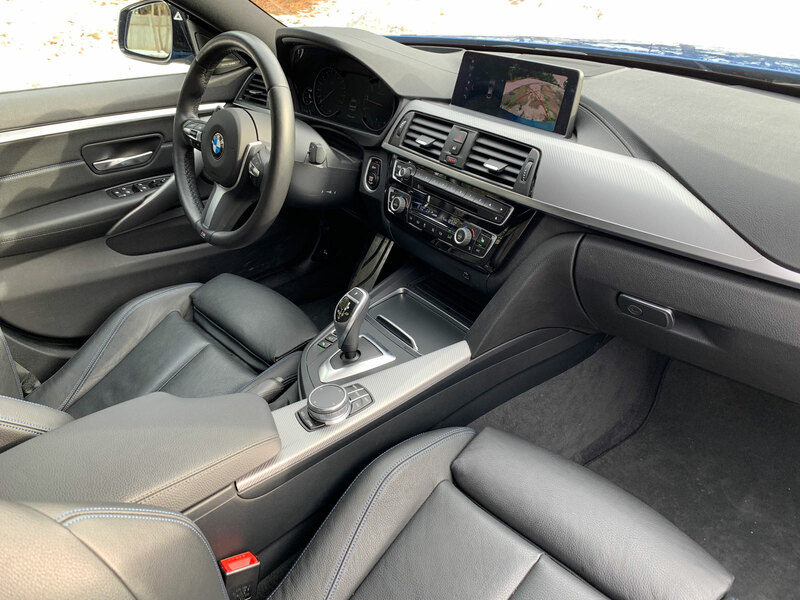 Starting at $53,250, the tester came with the premium package ($6050) that includes a heated steering wheel, comfort access, auto dimming mirrors, heated rear seats, park distance control, heads-up display an upgrade sound system and a full digital instrument display. 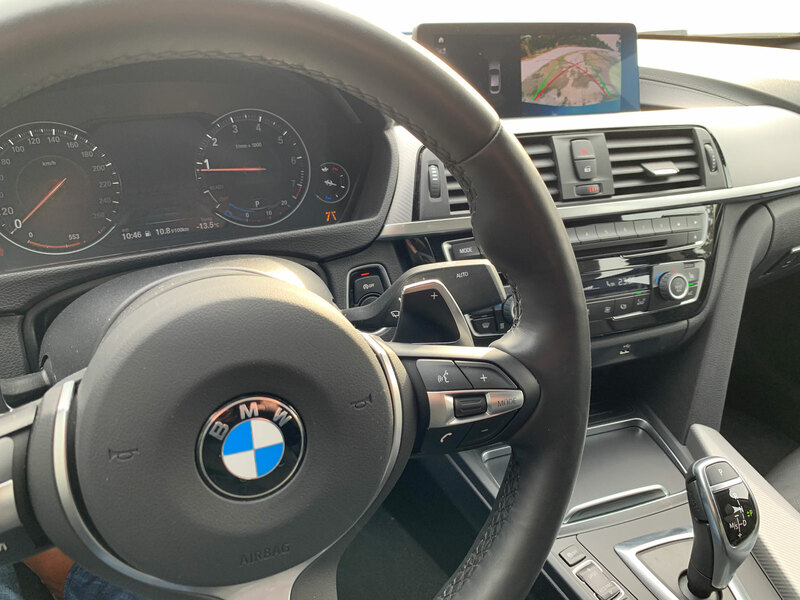 It also came with active cruise control, surround view and wireless charging for another $1950 for a total of $61,250. The more potent 440i mentioned earlier will run you about $4300 more. 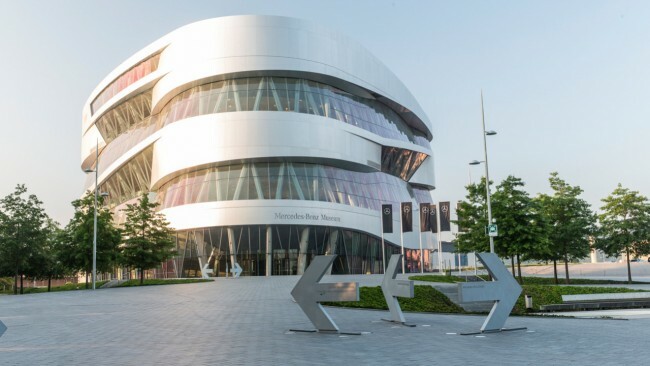 (Français) Mercedes-Benz célèbre les 100 ans de BMW? 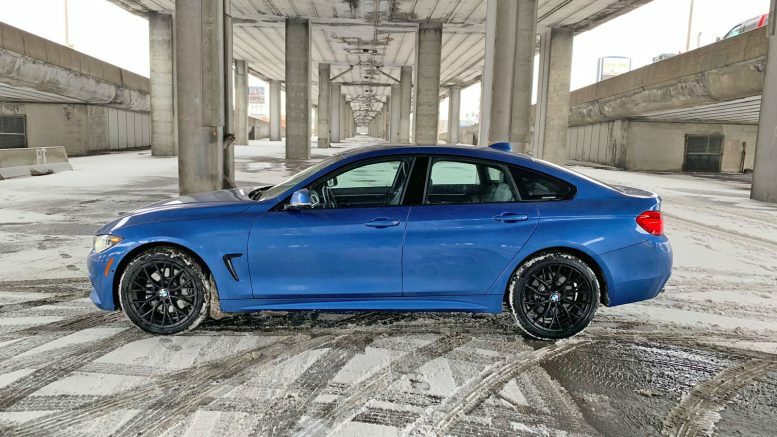 BMW F80 M3 avec un V6?